Biennials are plants that you sow this year for flowering next year. 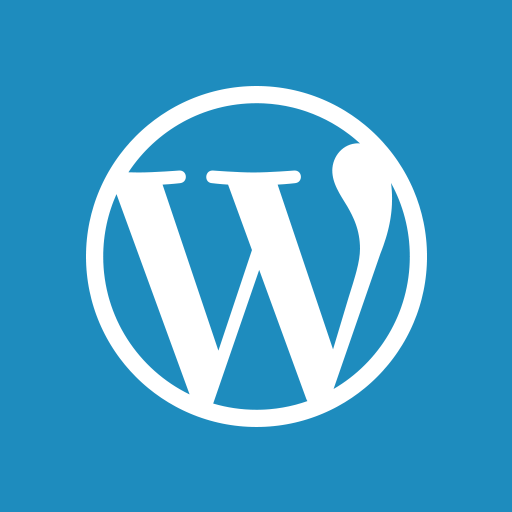 2014 seems like a long way off but a bit of planning now can save you lots of money, time and effort next year. 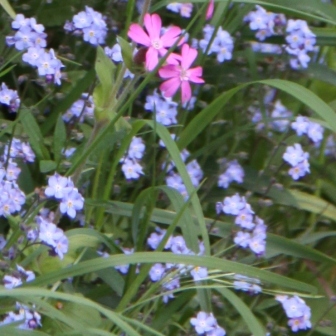 June and July are the best months for sowing the seeds of Spring flowering biennials such as Bellis perennis, Foxgloves, Forget-me-nots, Wallflowers and Sweet William. If you know someone that is growing these plants this year then ask them for some seed heads when the flowers are over… It’s so easy to collect the seed yourself. See Seed Collection and Storage for more information. Just place the flower stalks upside down in a paper envelope or paper bag and leave in a warm dry place for a few days. Remove the stalks and any other debris then sow the seeds in a small pot of fine compost. If you can’t get hold of any seeds from friends or neighbours then you can buy them ready prepared for you in seed packets from any good nursery or garden centre. 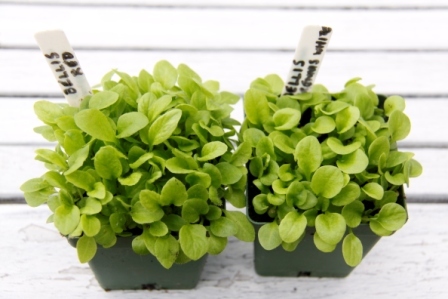 The seeds will germinate quickly and within a couple of weeks you’ll have a pot full of healthy little seedlings like these Bellis perennis. 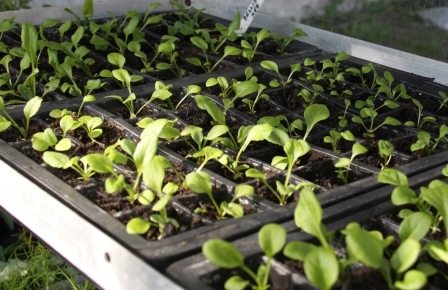 Let the seedlings grow on until their first true leaves appear and they have strong roots developing then carefully remove them from the pot and separate into individual plants. 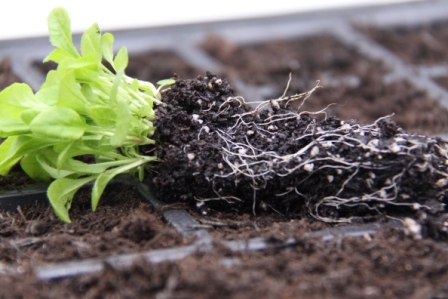 Fill a module tray with compost then hold a leaf and place one plant into each cell using a dibber to make holes and to gently push the roots into the compost and firm around each stalk. 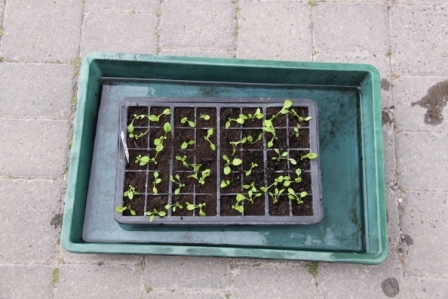 Place the seedlings in a tray of water for about 20 minutes until the compost is moist then remove and drain. Allow to grow on in a light sheltered place until you have sturdy plugs with healthy root systems. From these two little pots of seedlings I now have 120 tiny new plants. So in Spring 2014 I’ll be able to plant up my own patio pots and have plenty spare to give away.